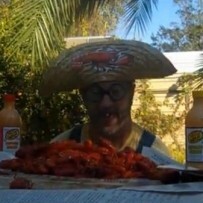 Cooyon Duhon’s Ah Love Crawdads Bru music Video! Cooyon Sings a parody song ABRACADABRA! CAJUN STYLE!!!!! AH LOVE CRAW DADS BRU!